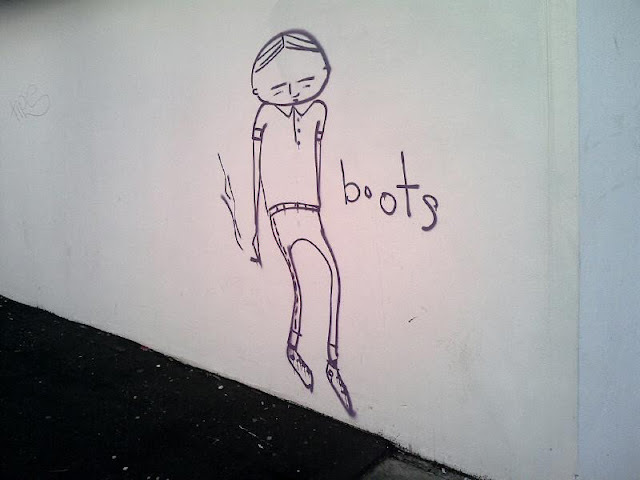 Acid Midget reader Ben Isley submitted this photo on Facebook of a Boots sketch he found in the backstreets of Chippendale. I haven't seen much of Boots's work on the street, but, ironically, I have in the feeds of fellow street art photographers on Instagram. I've been using Instagram all year to share daily updates with you guys. It's also been a way to network with street artists and photographers. One such instance was a visit to Takie's studio in Sydney earlier this week. I'll have a post on that in the coming days bb.